As the largest economy in ASEAN, Indonesian government attach importance to infrastructure. Construction is inseparable from a variety of basic industrial and construction materials. Processing of these materials is inseparable from crusher, grinding mill and other related equipment. After several rounds of business negotiations and Considerations for comprehensive strength and product services, a building materials company in Indonesia signed limestone crushing and grinding production line with Liming Heavy Industry. The production line is main two sets of MW800 ultra-fine grinding mills. Currently, the production line has been officially put into operation. MW800 grinding mill played outstanding performance in the production line. In the same output size and power consumption, it has low investment cost than jet mill, and the capacity is as high as 45% or more than jet mill. The finished product fineness can up to D97≤5μm one-time, uniform quality, which is well recognized by customer. 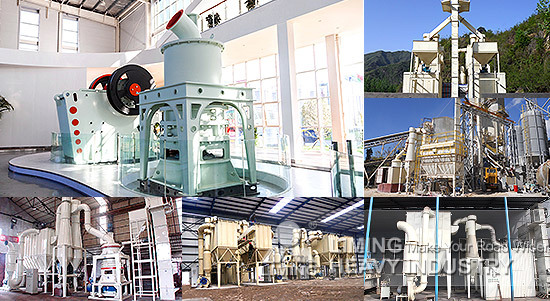 More MW800 grinding mill and Indonesia 5 micron limestone production line details and quotation problems, please click and contact with customer service online, we will give you professional production programs and quotation.